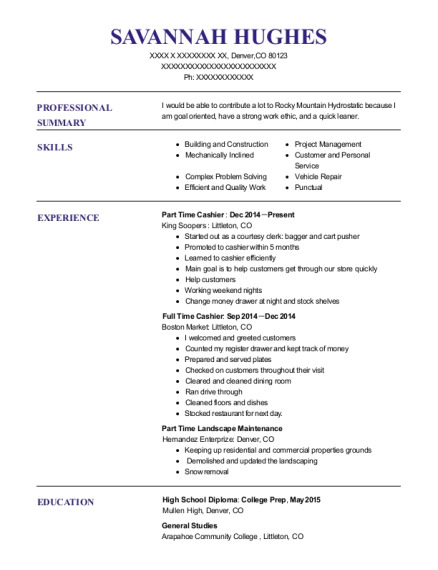 To obtain a fulltime position in a Retail store, Hospital, or Group home . Available Immediately to work mornings, evenings, and holidays. Stock shelves with items that are empty bringing items forward that appears to be empty. Assist customers shopping during the night. GED : math Dec 2013 MYcroSchool Gainesville － Gainesville, FL I attended MyCroSchool to finish getting my credits for high school. 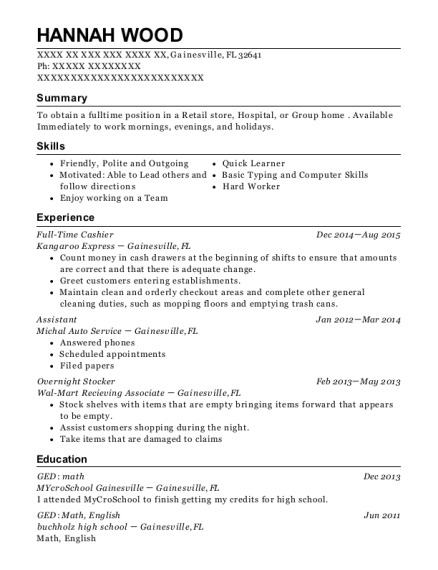 This is a resume for a Full Time Cashier in Gainesville, Florida with experience working for such companies as Kangaroo Express and Michal Auto Service. 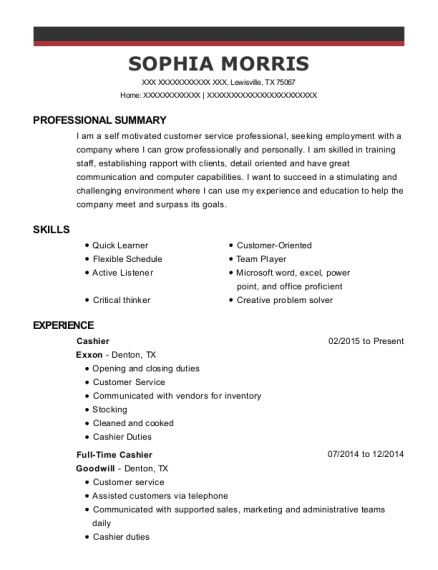 The grade for this resume is 0 and is one of hundreds of Full Time Cashier resumes available on our site for free. 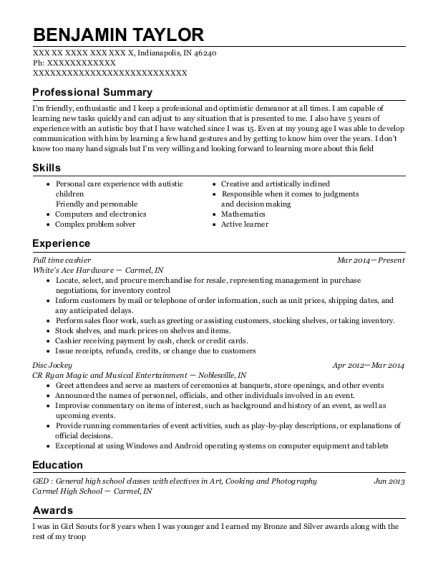 Use these resumes as templates to get help creating the best Full Time Cashier resume.